Does the government really believe there is a serious risk of rates rising? This is one of the most useful things I learned in high school. Thank you, Mr. Hall! 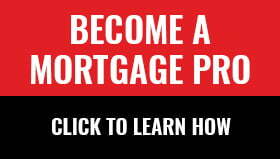 The federal government has clearly told us that mortgage borrowers need to be prepared for much higher interest rates in the future, since the stress test for all insured mortgages requires that borrowers’ ability to pay must be tested at a rate that is more than two percentage points above the rates that can actually be obtained in the market today. 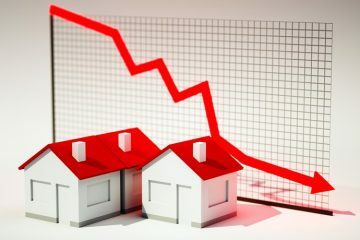 The “posted rate” that is used in the stress test is currently 4.64%; using any of the popular rate comparison websites, it is obvious that available rates are below 2% for variable and short-term mortgages, and below 2.5% for 5-year fixed rate mortgages. Does the government really believe there is a serious risk of rates rising by more than two percentage points? It hasn’t discussed this. So, what can we infer from the way the government is actually behaving when it borrows money? The federal government does a lot of borrowing: during the 12 months from May 2016 to April 2017 it sold just under $425 billion in bonds and treasury bills, or $35.4 billion per month. Most of this is to replace issues that have matured, but about $25 billion represents new debt (growth in the total outstanding). By simple math, $400 billion per year ($33 billion per month) is for roll-over of maturing debt. Given these enormous numbers, we can assume that the Government of Canada is aware that it is exposed to changes in interest rates and that its decisions about terms-to-maturity are based on a risk analysis. If it is concerned that interest rates will rise materially (or even if it is unsure, but sees a risk that they might), then its logical reaction would be to reduce its short-term borrowing. The government has not done that: to the contrary, it has SHORTENED the terms-to-maturity of its recent borrowing. As shown, the lengths of new issues have fallen during the past decade. The average term (fractionally above 4 years) is considerably shorter than in prior years, and is the lowest seen in two decades. 60% have short terms (2 or 3 years). A further 26% have 5-year terms. Just 14% have long terms (10 or 30 years), and this is the lowest share in the 20 years of data. The data in this table is for bonds, and excludes Treasury Bills (which have terms of 3 months, 6 months or 1 year). These short-term T-bills represent one-fifth of the federal government’s outstanding debt. If they were included in the maturity calculation, the combined average maturity for federal debt issued in 2017 would be far below 4 years. The data on the federal government’s actions send a very clear message that it either (1) does not expect rates to rise materially or (2) is being reckless and irresponsible. Meanwhile, it is imposing a draconian test on mortgage borrowers. Editors Change (May 15th, 3pm): Title change to be reflective of complete argument. Next ArticleAre High Home Prices Going to Accelerate the Chances of the Next Recession? Does Will Dunning believe that the federal government is a single mind, such that all its decisions are consistent? Does he wear a life jacket in a boat, and buckle up in his car? We usually don’t fall out of our boats or crash our cars, yet many of us have grudgingly come to the conclusion that the extra safety is worth it, for those rare occasions. Ralph – Nice job of creative writing. But irrelevant. “draconian test on mortgage borrowers”????? You have to be kidding. Next, you will agree with the other guy that mortgage restrictions causing less qualified buyers causes prices to go up! Crazy stuff on here these days. Sam (and Ralph Cramdown). It’s always interesting to see the wide range of opinions that get expressed on CMT. I love reading them, thinking about them, and learning from them. I think the editor of CMT is open to guest articles. Perhaps you’ll take the time to explain your thinking in more detail. While the bond rate research is good work, you end on a bad note by declaring the 4.64% qualifying rate “draconian”. The bond rate analysis is objective and logical, then you end of a subjective emotional note. The only people that the qualifying rate has an impact on are those that are close to the debt service ratio limits. If they slightly decreased the GDS/TDS limits and changed the qualifying rate to market rates, would you still be griping? My father, a rancher, said ‘listen to the government and do the opposite’. I don’t think the knowledge behind that adage has changed. Politicians and their proxies are in the business of jawboning. The rest of us should be cognisant of how little skin they have in the game. I think your analysis, Will, is spot on and conclusions to be drawn are accurate to the degree possible (anything can happen). BiG Banks and BiG Gov’t can no more easily afford high interest rates than any big debtors in any segment of economy and they are more influential in setting those rates and influencing them through jawboning than anyone. Perfect title! I really like the thought in this post about politicians and their lackeys having no skin in the game. So true and becoming truer every day. Look at what we have right now: two millionaires, the PM and the Finance Minister who are so incredibly divorced from the lives of the “working families” they are always prattling on about they do not have a single clue about the real like experiences of the people they always say they are here to help. If you want to help someone don’t screw with the mechanisms that gave them the only break any working person has got in the last decade: low mortgage interest rates and a buoyant housing market. I do not see any ” clear message” the conclusion is not logical. If Government of Canada Bonds Terms to Maturity, were issued based on projection of interest rates. Government of Canada would not be issuing many 30 Years when the rates were high. Government of Canada issuing Bonds using some other criteria that the rates, such as budgeting needs, etc… Governments does not operate like corporations. The problem that I see with this new stress test, and, IMO, is a major problem, is that it is making it difficult to impossible for young people to buy homes. If it weren’t for the inheritance all three of my kids got from their paternal grandmother, none of them would currently own a home. My eldest, he currently pays $1400 a month on his mortgage…he rented his unit out for a few months before moving in, and his renter paid $3200 a month! Rental rates are so high currently that they are on par with, or even greater than, equivalent mortgages. How is a young person supposed to save their down-payment and qualify for a mortgage when their rents are using up a majority of their money? Having to qualify at a rate that is more than double current rates IS draconian. Doubling down-payments required is draconian. It’s as though the Liberal gov’t doesn’t want millennials to purchase homes…maybe they’re afraid those millennials will become Conservatives? BTW, my son bought for $598,000 in Yaletown 2 years ago. His unit is now assessed at $735,000. My daughter bought 2 years ago for $568,000 two blocks from Roger’s Arena, and her place is now valued at over $800,000 (she has a 400 sq ft balcony which is amazing for downtown). I guess Will was completely wrong and the government DOES (and did at the time of this piece of writing/propaganda) “expect rates to rise materially.” Now, is Will going to step up and admit he was completely wrong?